Whilst our approach to Clever Print Management covers a broad spectrum of products and services, our approach to catalogues is arguably a simpler one – the best press configuration for a specific catalogue! 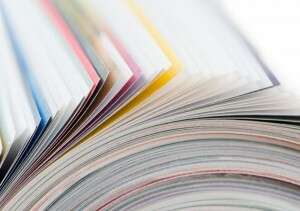 We understand the changing role of the catalogue and brochure and its position in your marketing mix. Noticeably the UK market for catalogue print has constricted. There is now less choice and whilst credible suppliers still exist, we at PMG have taken a positive but agnostic approach towards finding our clients and customers the right solution. Centrally located in the UK, PMG offers our services on both a national and international scale – working with a select group of UK and European print partners to embrace all print variations. We work incredibly hard at making the commercials stack up, but not at the expense of customer service and satisfaction. It is that which defines us, and which stands us apart from the direct suppliers who have had to focus on sustaining a very lean approach to manufacturing. Our team of catalogue experts, with many years experience excel in Clever Project Management. Both PMG and our partners ensure that ‘what is wanted’ and ‘how it is delivered’ is paramount when managing all aspects of your project.